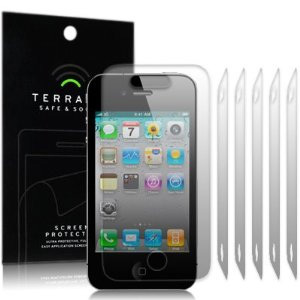 For the price these screen protectors are great. They are cut 0.5mm too small which actually ensures they fit well but because of this line up the hole around the button first to ensure a good fit. These protectors are actually a hard film (not flimsy) so are easier to apply, I put the first one on with no bubbles at all! very pleased, but did not line up the hole perfectly, but good enough not to need to remove luckily.